With everything going online and with each possible stream of data available for scrutiny just like a distributed database, the role of Artificial Intelligence (AI) is growing faster than before. The seamless availability of information and management in the similar fashion shows the real transformation AI has brought into our lives. Machine learning and AI are revolutionizing every other industry be it law, medicine, education or real estate. The replacement of human jobs by automation has always been a topic of discussion. But before that one must have a closer look at the ways by which Artificial Intelligence is coming out as a boon not just for buyers or potential customers but for agents and real estate business firms. Real Estate is a territory which is eagerly seeking an integration with AI for desired and timely results accompanied by comfort. Process automation can ensure cost-effectiveness of property management and real estate business management. It eases the way agents work in lieu of customers. The technological advancement has led to virtual tours of sites for buyers which saves a lot of time. Virtual tours have now become ‘the thing’ for real estate specifically ensured via drones. Survey of land for construction is another benefit lend by drones. A new era of inspection has been born out of AI. Truss is a startup which offers a chatbot called vera, with AI-powered platform catering to those looking for leasing office spaces. Moreover, should it fail to answer any query, it transfers that to humans. With lesser number of complications and complexities, the real estate business will see a tremendous rise in savings. There is always a fear of automation replacing the actual human jobs but everything comes at a cost. The efficiency levels offered are worth it. It eases how the whole agent industry functions, eliminating redundancy. However, another backdrop, by default, is that with AI into play more educated and qualified will find job opportunities whereas those with less experience may have to face a cut back. 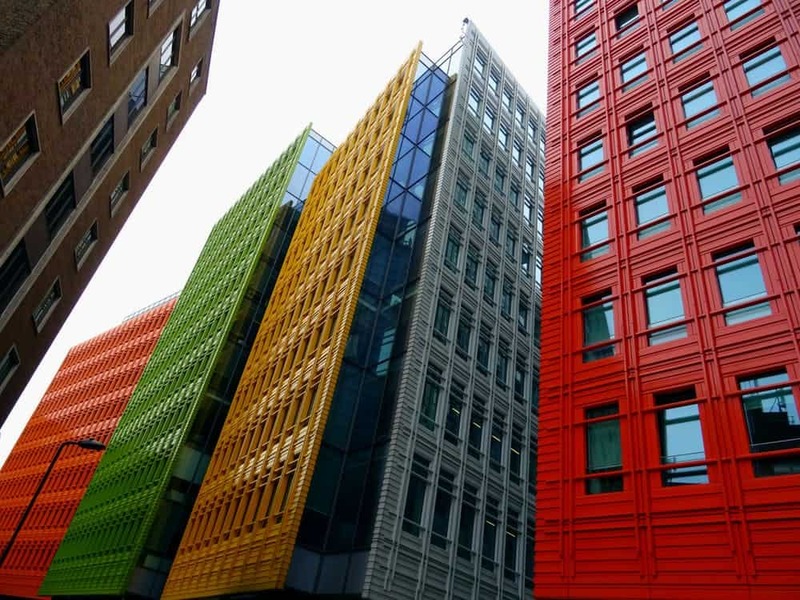 Artificial Intelligence has led to a breakthrough in the responsive system for buildings. Smart LED lights and self-programming thermostats are a few examples of how the inclusion of AI can be seen. This technology will help in estimation of costs and come out with optimized structures. Having said that, there is still a lot to be done in this field to make buildings that are self-responsive. Installation of smart technology in homes is nothing new. Buildium, Zenplace, and Rentalutions provide process automation technology for tenants and landlords to interact. Renters can use Zen place’s chatbot via Amazon echo to make payments or make service requests. There is an AI monitor to observe the state of the building and take care of maintenance. This optimized technology is extremely beneficial not only for residential but industrial buildings too. One way is to adopt the new technology to deliver an unmatched customer experience and the other is to lose your job. On one hand, AI provides integrated services with the requirement for lesser agents but it also puts several functional jobs in dilemma. It is absolutely true that AI offers the wide range of relative information to the potential buyer at one go making it easier for both the parties to come to a decision. But it can be disruptive when it comes to human jobs. It is efficiency versus jobs. Earlier we talked about how smart homes have now become a thing and a virtual tour is more of comfort and how a stay office access to all the information makes the job less painful and more efficient. Amongst all these perks the security breach scenario and the danger of being hacked are some of the cons alongside. There are enormous risks associated with technology interfering our lives. In 2016, IBM’s X-Force Ethical Hacking team conducted a penetration test on a customer’s building automation system and found numerous vulnerabilities in the HVAC system that would allow a malicious intruder to gain access to the enterprise’s central server, proprietary customer data. With the current level of inclusiveness of AI in real estate, the business has to balance the jobs and automation of the same. The benefit of efficiency and savings cannot be led to overpower the human jobs. If that happens, it will only lead to depletion of the hard-earned trust of the field in the market. Technology must be invited but one has to figure out a way to make space for it by not replacing something completely. Certainly, there are a few areas where AI aid is much needed like customer relations and customer services, employee management etc. The emergence of robots is overwhelming but the day when robots will show you the apartment is far-fetched. “There is an AI monitor to observe the state of the building and take care of maintenance.” Can you provide a pointer to a product doing this? Thank you. Hi, Thanks for the comment. We can help you send a detailed study on this at a minimal cost. Please let us know if interested.